Please feel free to correct me, if I am wrong but... 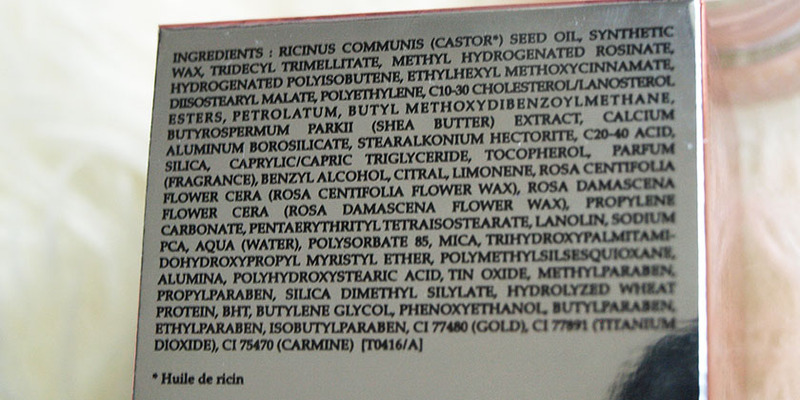 I think I am about to review the most expensive lip balm in the world. 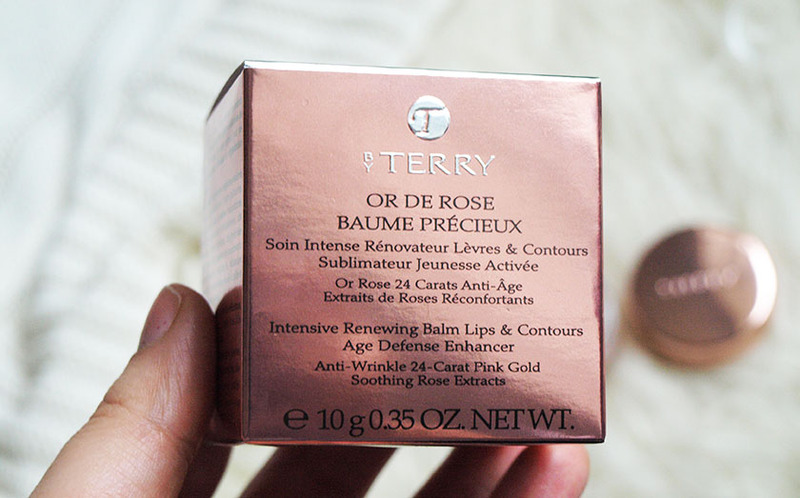 The limited edition By Terry Or De Rose Baume Precieux retails at £46.00, but I managed to get my mitts on this gorgeous little pot with a 50% discount in the Space NK sale :) The most important question - Is it worth the hefty price tag? 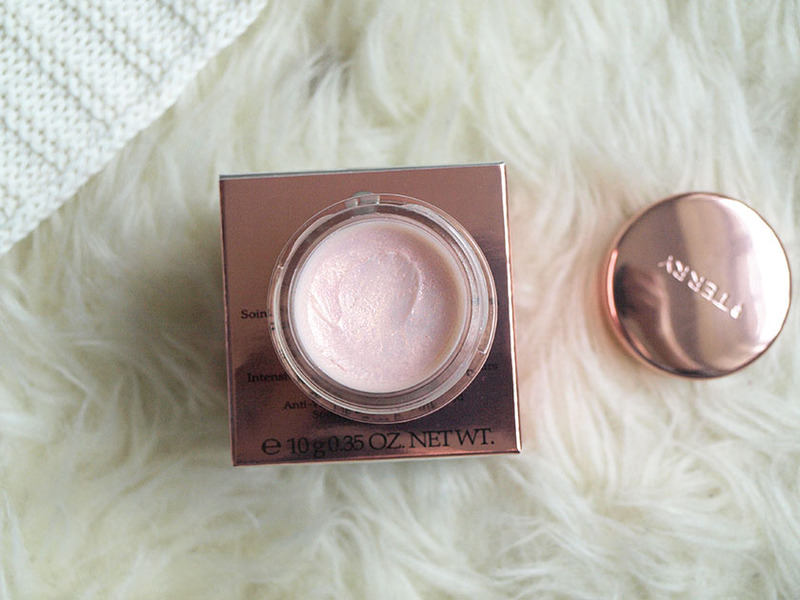 First of all, the packaging feels very luxurious and I adore the rose gold lid. 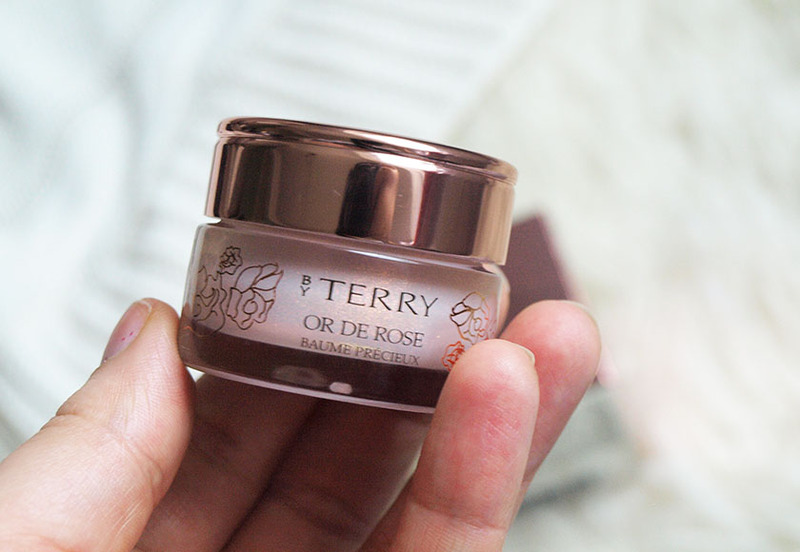 As soon as you open the pot, you can see the micro flecks of 24-karat pink/rose gold glistening and you simply fall in love :) It also smells very nice, but if you are not a fan of rose scents, you might dislike it. It isn't an overpowering rose fragrance and I find it very pleasant, unlike the Balance Me Rose Otto Lip Salve, which is far too strong in my opinion. 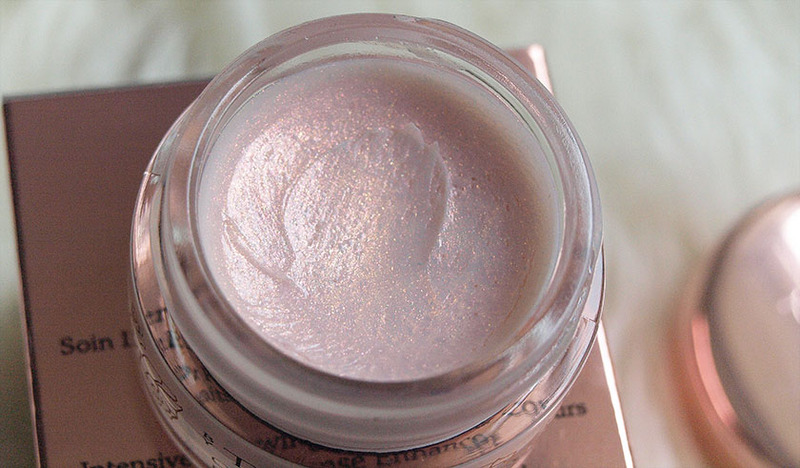 The balm itself has a super soft, buttery consistency and melts with the warmth of your fingers. One gentle touch is enough to pick up the right amount of product and as soon as I apply it onto my lips, they feel nourished, soothed and super soft. 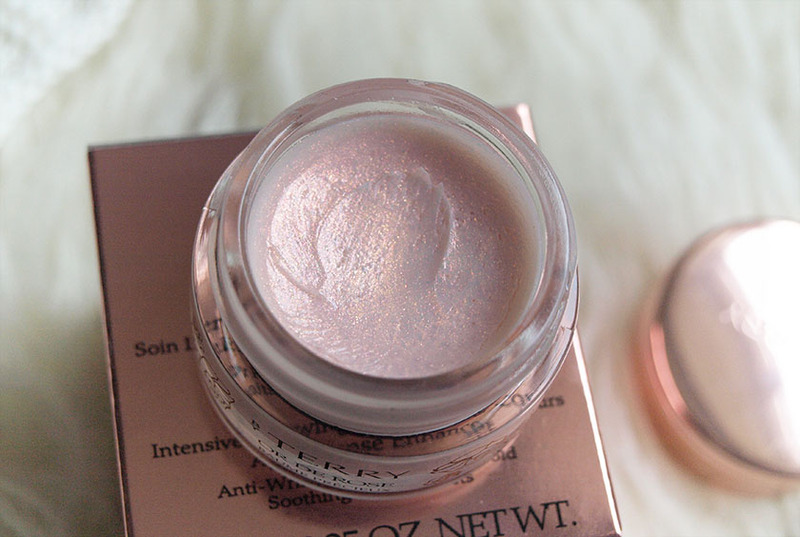 The rose gold shimmer makes it pretty enough to wear alone instead of a lipstick, or you can layer it on top of your favourite lip colour for added sparkle. You don't have top worry about stickiness or a gritty texture of glitter, because the formula is perfectly smooth and feels amazing on the lips. This luxurious lip salve features a rejuvenating and lipo-regenerating complex made of rose flower essential wax to soften and tone, pastel oil to boost cell renewal, shea butter to soothe, ceramides to plump and firm and vitamin E to protect from the sun, wind and ageing. Or De Rose Precieux is a limited edition version of the Baume De Rose (£35.00), with added 24-karat rose gold sparkle and to be perfectly honest, I was only drawn to it because of the sparkle :) I am not too fussed about the original and I won't by buying it in the future, but the limited edition stole my heart and I really enjoy using it.